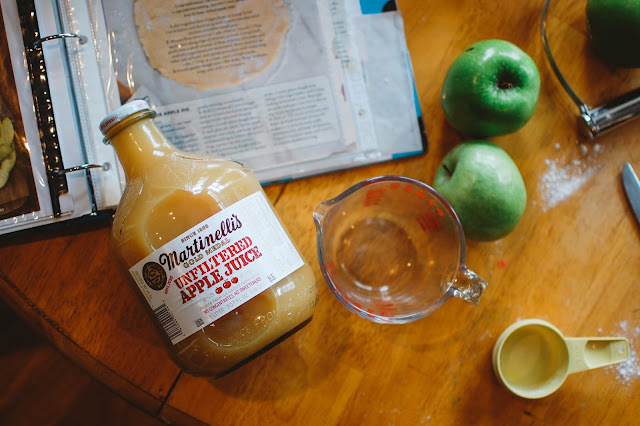 All About Autumn with some apples thrown in. 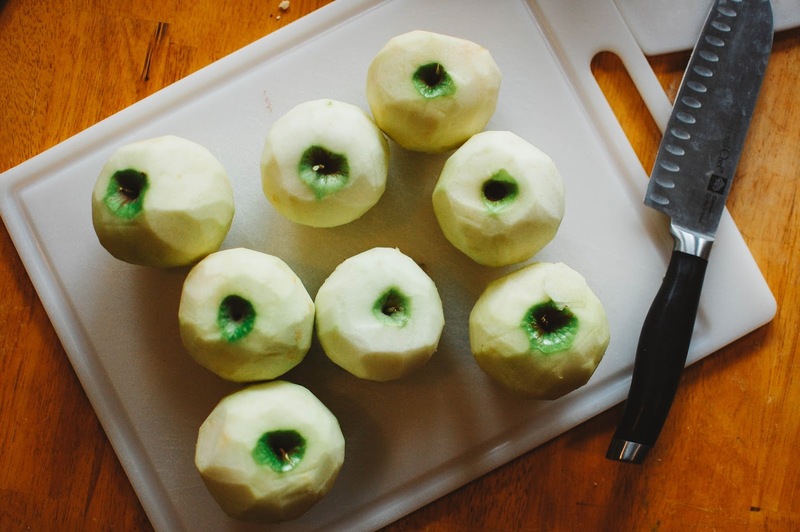 It's time for some apples today on this Fall Fun Series post. 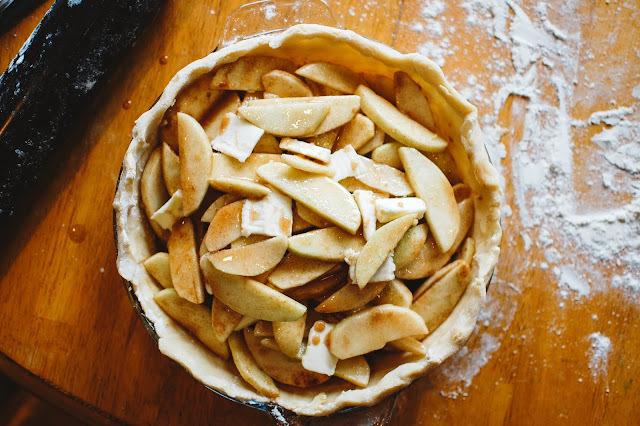 Today I am sharing with you one of my favorite apple pie recipes. I think this came from Southern Living magazine. 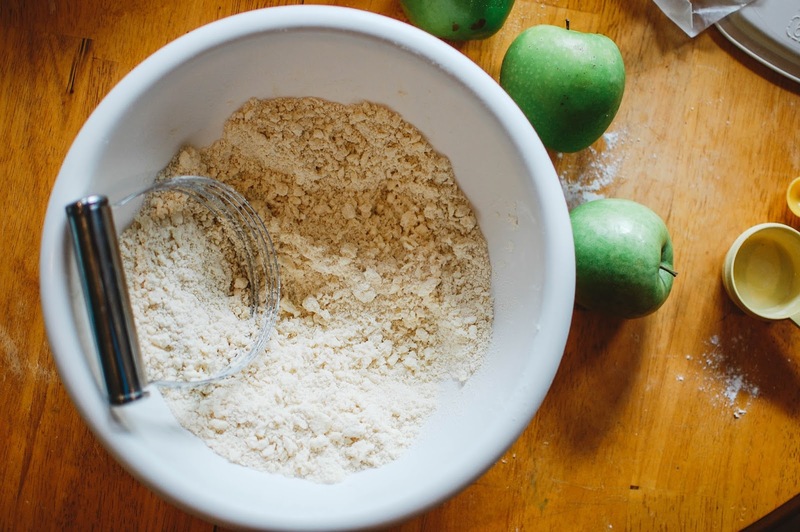 It uses Granny Smith apples and a cornmeal crust dough. 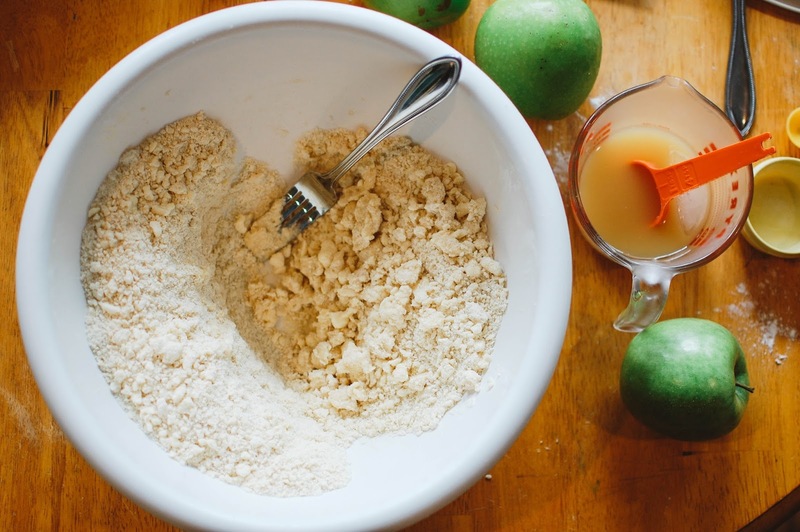 Stir the first four ingredients in a large bowl. Cut in the butter and shortening with a pastry blender (or fork) until mixture resembles small peas or rocky soil in my case. Mound flour mixture on one side of bowl. Drizzle 1 tablespoon of cider along edge of mixture and gently toss with a fork in that small area until the flour is moist. Yeah, you read that right. I said moist. Keep adding cider/juice until all the flour is.... moist. It should form a sphere of dough easily. If too dry, add more juice, if too wet try adding a touch of flour. Do your best not to over mix. The butter and shortening being in clumps helps make the dough flaky. 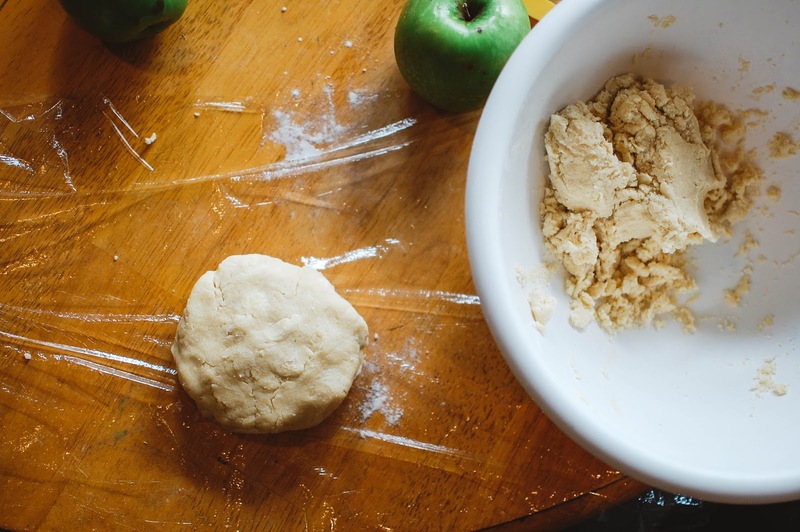 Split dough into two roughly equal portions and form a disc, wrap in plastic wrap and chill in fridge for 1 hour to 24 hours or freeze for a few weeks. These are nice to make ahead for holidays. And this cornmeal crust tastes great with pumpkin pie as well. - Preheat oven to 375. Peel and cut 4 1/2 pounds of Granny Smith apples (I doubled this recipe so I could make a pie for my grandpa so I used 8 apples for 2 whole pies). Slice into 1/2 inch thick wedges. 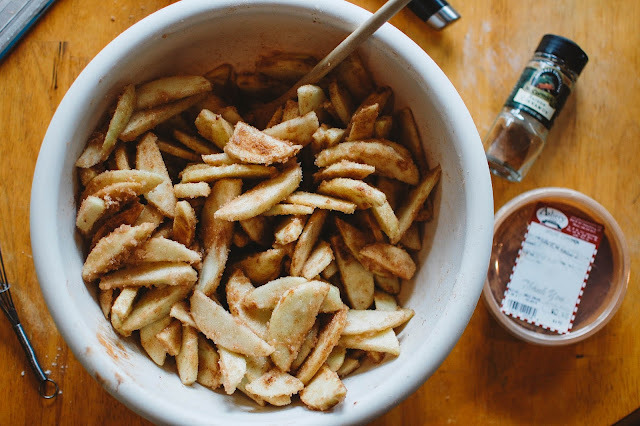 - Mix apple wedges with 1 cup of sugar, 1/4 cup of flour, 3/4 teaspoon of cinnamon and 1/4 teaspoon of salt. Let stand 15 minutes, gently stir. I like to add in a bit more cinnamon and a touch of vanilla extract if I am feeling frisky. 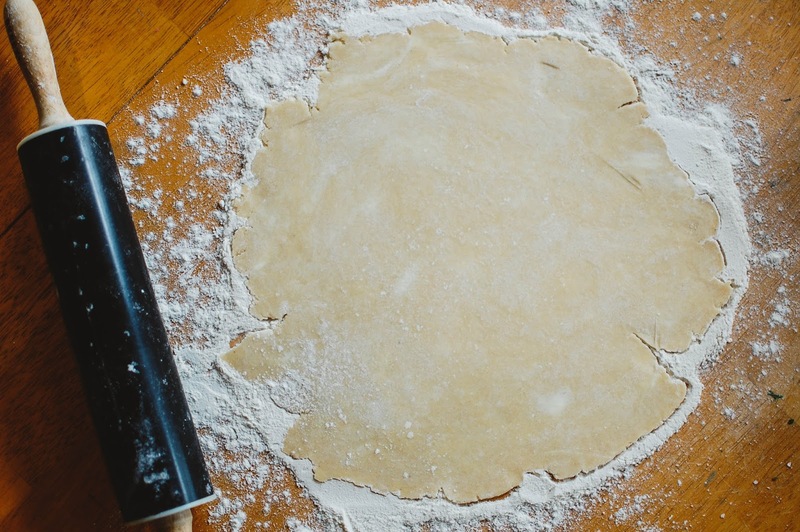 Roll out both discs of dough onto a well floured surface. Flour your rolling pin from time to time too. About 11 inches wide will work to cover a 9 inch glass pie plate (non-greased). 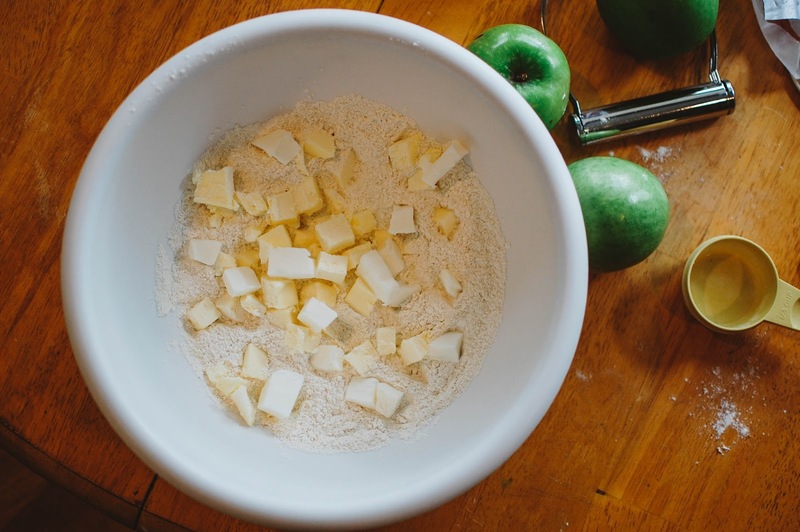 - Spoon apple mixture onto crust, pack tightly down and mound in the center. Dot with butter. I use roughly 1-2 tablespoons cut up. Top the pie with the second disc of rolled out dough. Fold edges over and crimp. Cut 4-6 slits in the center for steam to escape if using the whole sheet of crust. Or get creative and do some fun pie artwork! Place pie on a jelly roll/cookie sheet. - Bake at 375 in center of the oven for 50 minutes, then cover loosely with foil and bake 40 minutes more. Cool 1 1/2 to 2 hours before serving. Mine are not Martha Stewart worthy but they tasted pretty darn good. I may fancy it up next time. Or not. 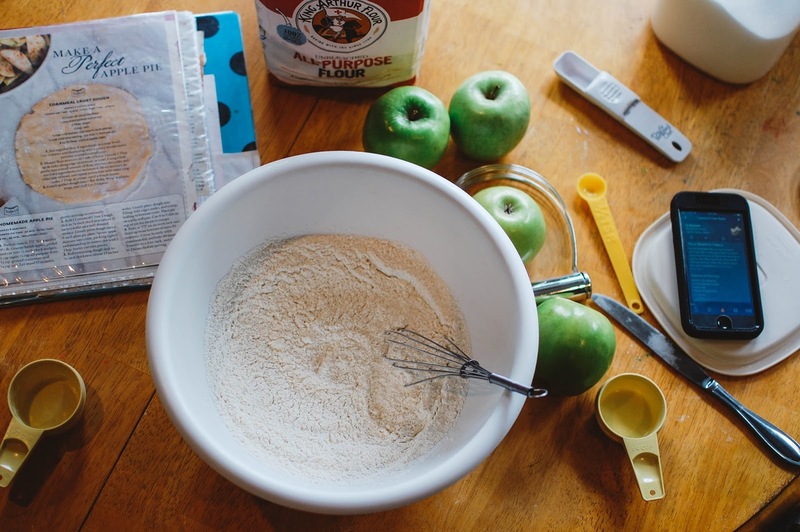 Here is a link to a Fresh Spiced Apple Cake I enjoy baking this time of year as well. 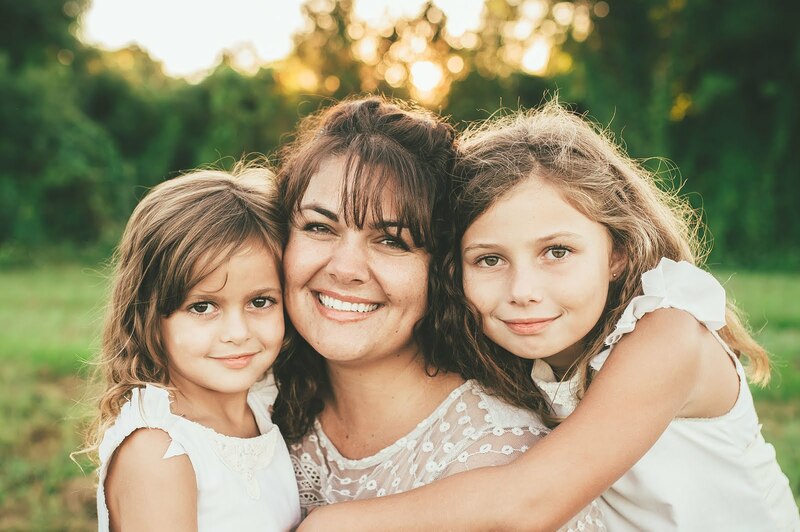 Last year I sang the praises of Solstice Scents' Corvin's Apple Fest for all things apple scented. I do still enjoy that perfume oil, but this year I am adding two more apple filled fragrances: Arcana's Apples Crave Terror and Mulled Apple. I particularly enjoy these two layered together. 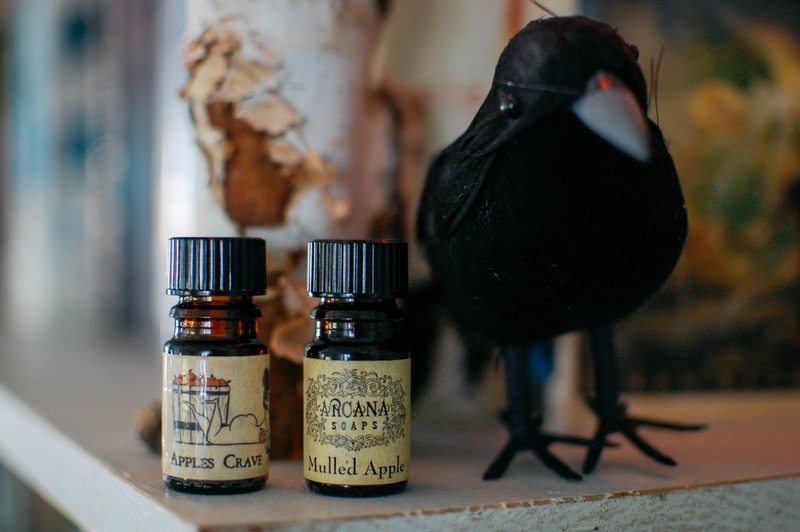 Mulled Apple is in fact intended as a layering scent. It adds a warm spiced apple clarity to any scent and is nice on its own as well. Apples Crave Terror is a scent I purchased second hand after reading some recommendations. It is a resinous apple scent that smells rather naughty. Arcana has a whole "Apples Crave" line but this is the only one I have sniffed and worn. I do enjoy the sample of Sixteen92's Bourbon Apple Cider I have from a Mystery Sampler as well. Do you have any apple related scented products your are enjoying that I should try? 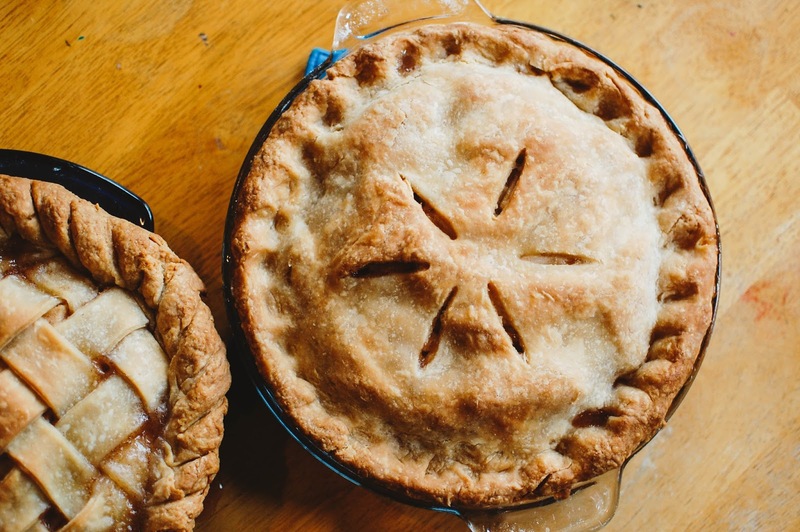 Gosh, your pie baking photos look amazing! Looks like you put a lot of love into your baking. I will have to try that apple spice cake sometime; I don't think I've had anything quite like it. Those apple fragrances sound intriguing; some are hit or miss for me but your descriptions sound wonderful! Thank you! I love baking in my kitchen. It is not big and hardly any counter space (I do it all on my table) but the natural light just draws me in. I do hope you try the apple cake. it is seriously moist and delicious. It is sublime with the Browned Butter frosting but even really yummy plain. That's a classic apple pie. 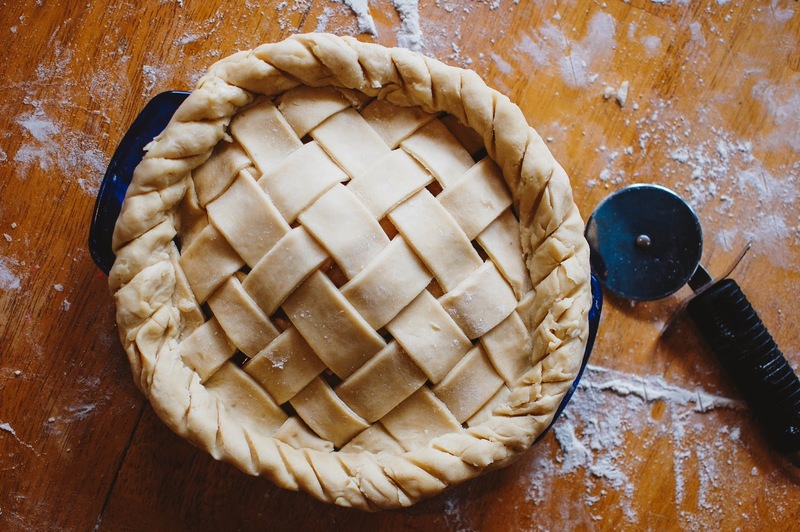 I've never made my own crust/apple pie but if I did, I'd want it to look like that, beautifully homemade. Thanks! I make at least one each fall for my husband, who loves apple pie. And he kills me because he likes it plain. No whipped cream, no ice cream. I used to hate apple pie but I would make it for him anyway and then each year a slice would taste better and better and before I knew it I was looking forward to baking it. Being Martha-worthy is hardly indicative of worth (because for what it's worth, that pie looks so scrumptious! Nice and buttery and homemade-lumpy, with apple slices instead of some goopy filling. Mmm, nice.) I find Martha's recipes needlessly convoluted - why, Martha, do you have me measuring out 1 2/3 tsp less 1/4 tsp of something?! Are you trying to drive me insane?! Thanks! You right. It is better with some character on it. And you are dead right about her recipes. Mind numbing. I don't think I have ever really used her recipes due to their convoluted nature. I tend to like mine rather simple. Southern Living or Epicurious are usually my go-to recipe sources. 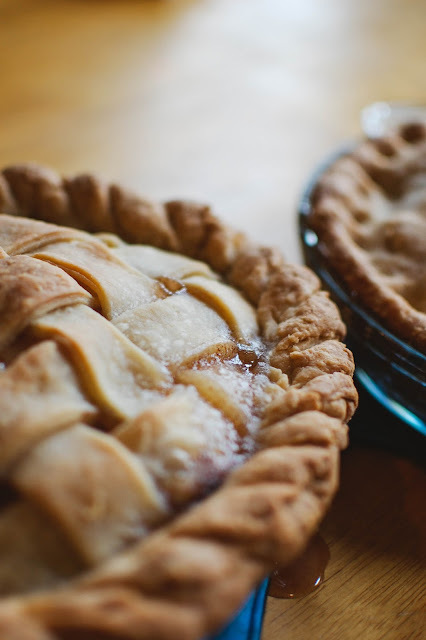 Oh my gosh, those pies look divine. Definitely Martha Stewart worthy in my opinion :) I've never tried making an apple pie before but these photos have me wanting to get baking right now! Alright now, I'm going to need you to teach me to make my pie look like that because I know it would never come out as purrrrty as that! Very nice! Awwww!! Thanks!!! It is a little grubby/rustic/lumpy but that is just all the love I poured into it. :-) I will say practice helps! This is maybe the twelfth apple pie I have made over the years. But I may make another one here soon.